Developing countries comprise a two-thirds majority of the membership of the World Trade Organization, with nearly thirty of these classed by the UN as being among the 48 least-developed countries in the world. In order to ensure the equitable participation of these countries in the benefits of the global trading system, the GATT Uruguay Round Agreements that created the WTO accorded special and differential treatment to developing countries. 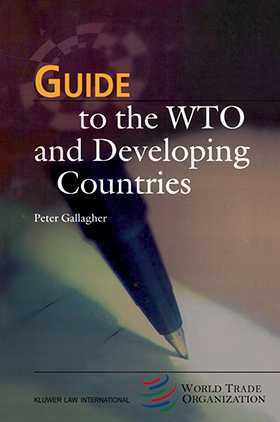 This Guide covers these provisions of the WTO Agreements, with detailed information on how developing countries can benefit from special rules governing such areas as: access to developed country markets in all major commodities and services, the dispute settlement process, trade policy review, foreign direct investment, environmental and labour standards, and technical assistance. The Guide also offers the reader case studies on how some developing country members of the WTO (Uganda, India, and Côte d'Ivoire) are making progress in working with the obligations and the benefits provided to them by the WTO Agreements.